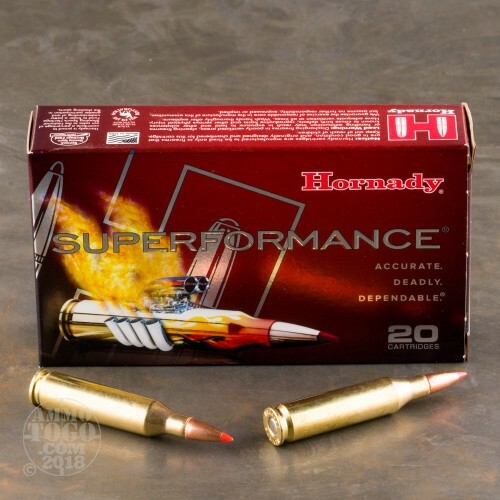 Highly accurate and dependable, Hornady is motivated by the goal of “Ten bullets through one hole.” Founded in 1949 as a simple two-man operation, Hornady has evolved into world leader in the ammunition industry. Hornady’s Superformance line is engineered specifically for hunting and is manufactured using only the highest quality components. 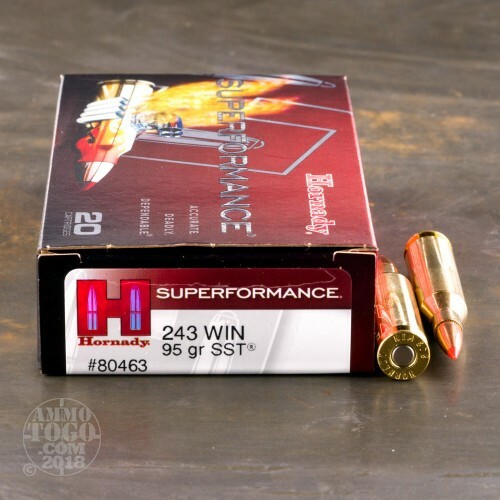 These .243 Winchester rounds feature Hornady’s patented Super Shock Tip (SST) projectile. Weighing in at 95 grains, SST bullets feature a trademarked InterLock ring system which keeps the bullet’s jacket and core solidly locked during expansion. The jacket and core are also strengthened in critical areas to provide excellent weight retention. 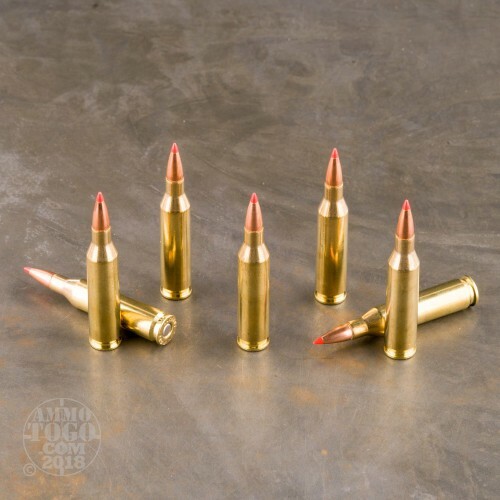 SST bullets also feature a red polymer tip which creates faster, flatter trajectories and a higher ballistic coefficient than the average hunting bullet. The polymer tip also works to initiate terminal expansion to produce an effective wound cavity for a humane kill. This package contains 20 rounds of factory fresh, non-corrosive ammunition. These cartridges feature reliable boxer primers and high-quality, reloadable brass cases. 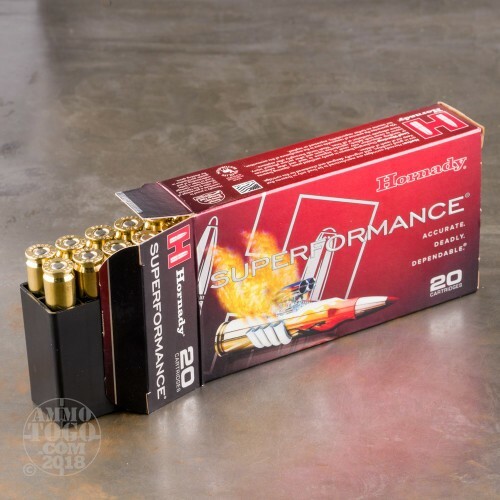 Hornady Superformance rounds are loaded with progressive dynamic propellant powders designed to increase performance without increasing recoil, chamber pressure, or barrel fouling. Each round produces a consistent muzzle velocity of 3185 feet per second with 2139 foot pounds of muzzle energy. Use this ammunition to hunt whitetails and other similarly sized game. Great ammo. dropped a deer at 380 yard on the spot.